Fans of Kamen Rider Hibiki rejoice – we have our first look at Kamen Rider Ibuki and Kamen Rider Zanki in their glorious Shinkocchou Seihou splendor! Having never been released as S.H. Figuarts in the past, these two characters would be a great addition to any Kamen Rider S.H. Figuarts collector, as well as any fan of the series Kamen Rider Hibiki. Check out the image by clicking the title of the story. This image comes courtesy of @YongouOYander on Twitter. Photos from Tamashii Nations 2017's coming out, and oh boy is there a lot of stuff to go through! For shinchokou seihou, we have prototypes of Rider 2, Kamen Rider W Heat Metal and Luna Trigger Forms, New Cyclone, and a prototype for Amazon. 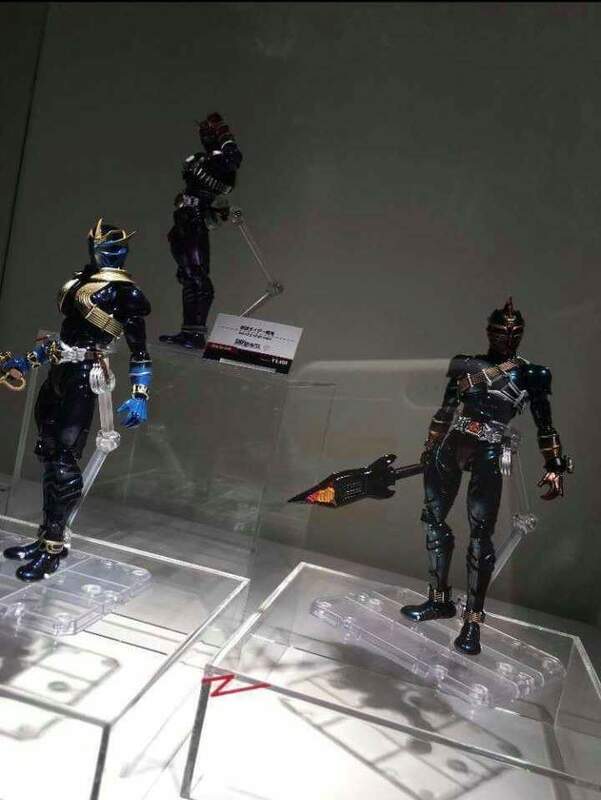 S.H.Figuarts Cross-Z and Machine Builder are shown, in addition to some new Ultraman Geed figuarts: Belial Atrocious, Zero Beyond, Royal Megamaster, and Imit-Ultraman. New SICS were shown too: Lord Baron, Baron Lemon energy, Ryugen Yomotsu Heguri, and Marika. Finally, we have Tamashii Labs next product: a replica Anhk arm. And here's that Kamen Rider Den-O teaser we were given a while back: it's not Seihou but seems to be a new action figure line altogether. Release info pending, but it seems like it's going to have some sort of transformation and LED Gimmick. I happy to see Lord Baron S.I.C. with shiny metallic paint. Wow Kamen Rider 2 and Amazon Seihou YES. Damn I didn't think Bandai would show of Amazon renewal already so freaking happy to see more Showa riders get Seihou treatment. I feel bad that I will probably need to sell my Showa Figuart collection soon to replace them with the Seihou versions. Lord Baron really works in the S.I.C aesthetic. Hope SHF Cross-Z is a retail release, 'cuz he looks pretty good in that pic! I'm going to need those UltraMan Geed and Zero Figuarts and the new Showa Era Riders and Cross-Z. They look amazing. It looks like Amazon has a jaw hinge. Kind of hard to get excited when a lot of things are marked "display only", though. Seihou Rider 2 and Amazon are must haves. 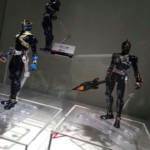 Would prefer standard versions of Zero and Belial first but these new figures look pretty nice. Will likely skip Zero Beyond since I'm not a fan of the suit but Belial Atrocious is gorgeous so will definitely pick that one up.